→Is Organic Food Better For You? With all the interest these days in organic foods, you might be wondering, is organic food better for you or not? • Crops must be grown without the use of pesticides, herbicides, synthetic fertilizers or sewage sludge. • Crops should not be subjected to irradiation or bio-engineering (no GMO, or genetically modified organisms). • Beef, chicken or pork must have been given only organically grown feed. • Food animals should not have been given any growth hormones or antibiotics. • Animals must be provided with access to the outdoors. With multi-ingredient foods, the USDA organic seal verifies that the product has 95% or more certified organic content. If the label claims that it was made with specified organic ingredients, you can be sure that those specific ingredients are certified organic. However, be aware that there is that 5% that does NOT have to be organic. If you’ve ever bought any foods with the organic label, you have no doubt noticed that they are generally more expensive than your ordinary run-of-the-mill foods. When you are trying to get the best value for your dollar, you will probably ask yourself the question, is organic food really better for you? Is it worth the extra money? Considering the amount of pesticides used in conventional farming, organic food has a major benefit right there. The presence of synthetic pesticides, herbicides or fertilizers in fresh produce is quite common with conventionally grown foods. The chances of your ingesting residues from any of these should be eliminated when you eat only organically grown crops since their use is prohibited for foods with an organic label. Naturally grown crops may not always look so pretty and perfect, because there may have been some attacks by pests. However, these are only cosmetic differences that have no effect on the nutritive value of the food. It’s a trade-off between perfect looking foods laden with chemicals, or foods that may not look perfect, but have no unwanted pesticides, herbicides or other chemicals that you ingest when you eat those foods. 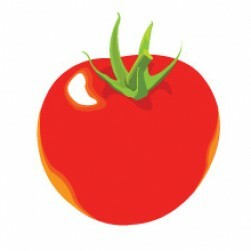 Many people also think that organically grown foods often have a better flavor. This is especially true of heirloom varieties of tomatoes and other vegetables. In instances where organically grown vegetables are “manured” instead of fertilized, there has been some concern that the crop may have an increased possibility of being infected by bacteria such as E.coli. However, when they are grown under strict USDA conditions regarding composting and manuring within a given period, bacterial contamination for organically grown produce is about the same as those that are conventionally grown. This is also because most bacterial contamination usually happens after harvest and in the handling of food after it has left the farm. 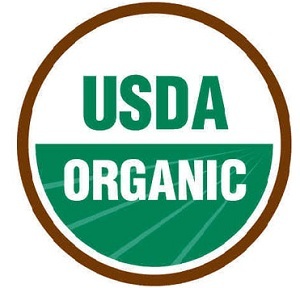 In other words, though some may think using manure is a concern with organic produce, food that has the USDA organic label has been grown according to strict rules to prevent most problems that might occur from using organic fertilizers like manure. One precaution for avoiding any of these germs is to rinse all fruits and vegetables thoroughly under running water, no matter how they were grown. You don’t know who has handled the foods, no matter what method was used to grow them. So, Is Organic Food Better For You? There may not be scientific study after scientific study that specifically compares organic foods to chemically grown foods, but there are studies showing that many of the chemicals used with conventionally grown crops have detrimental effects on the human body. It is also worth considering that many of the effects of these substances are not seen until there has been long-term exposure. When it is finally realized there is a problem, sometimes the effects are irreversible. If buying all organic produce puts too big a dent in your budget, check out this listing of Pesticides in Produce, and choose to buy the organic version of those foods that are known to have the highest levels of pesticides. Organic foods offer added assurance that what you are eating is healthy for you, and good fuel for your body.